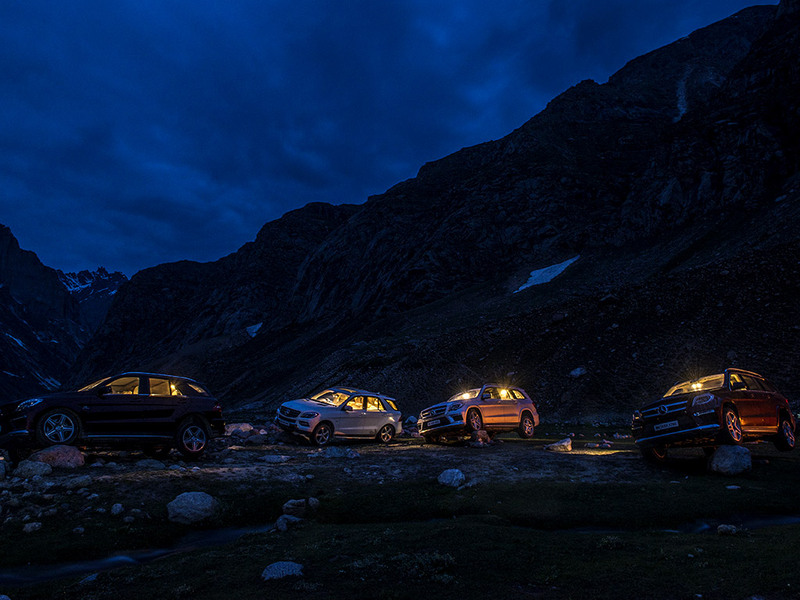 Join Team OVERDRIVE on a drive to go stargazing at one of the most incredible landscapes in India where the views of the night sky are unparalleled. Drive the three-pointed stars that embody luxury, power and grace. We promise to get you starstruck! It’s often said that urbanization, technological advances and closer political and geographical barriers have killed the adventure and thrill of life. It has left us doing jobs that once were done by machines. We often hear people say that, “There is no more thrill in life, and it is just one mundane daily routine that we have to go through over and over again”. There are still places left to explore. Places that will fasten your heart beat, get your adrenaline pumping and have your thoughts moving quicker. It’s all about the kind of person you are. Do you want to pack up, move out for a new journey or are you just content going through the same drill day after day? Do you want to go to a place that is new and experience something new, feelings you have never experienced before? This is where we step in and help you craft an experience that will completely change the definition of what a road trip means to you. ‘Live Life in OVERDRIVE’ is back again and this time we plan to leave you star-struck! Come be a part of a memorable journey that will not only add bling and glitter to your life, but will also be one of your most cherished and memorable drives ever. From our humble beginnings OVERDRIVE has gained a reputation for bringing you enthralling driving experiences in some of the most exotic destinations within India. Each of these adventures is peppered liberally with challenges that test both man and machine. But here is your opportunity to be a part of these adventures and experiences; exactly what team OVERDRIVE normally does. In the month of December come along with us to Jisalmer on an expedition that provides participants incredible views of the night skies. View millions of stars as they unfold their secrets to you. Accompanying you on this journey is a star in itself, a unique and highly adored three-pointed star! 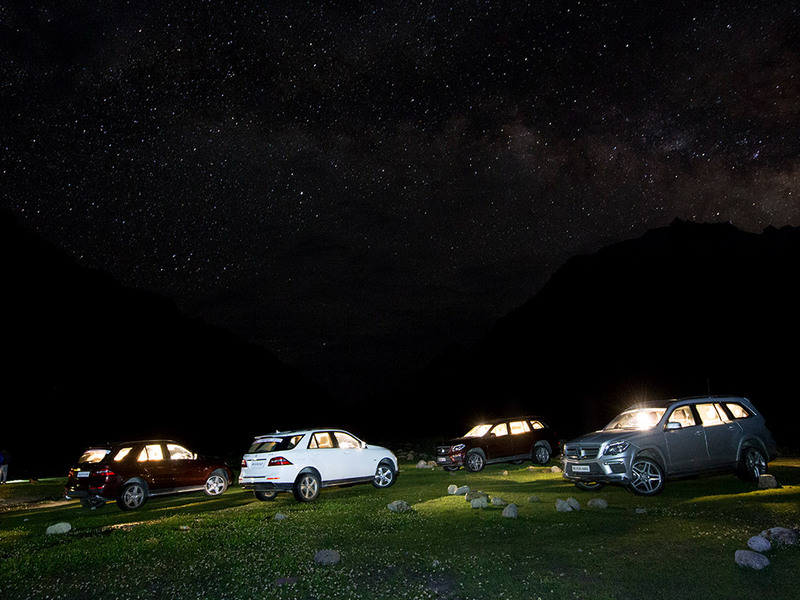 On this expedition participants will experience the luxury, comfort and performance quotient of the Mercedes-Benz cars. To make this drive all the more amazing we also have a stargazer who will accompany you to provide additional information on how to read the night sky and things to look out for. For years, Mercedes-Benz has been improving the benchmarks of excellence, design and innovation to provide us with machines that truly are a work of art in itself. These cars will be at your disposal to drive and understand what makes a Mercedes-Benz a Mercedes-Benz! The driving route will take you from Jodhpur to Jaisalmer and back. Register now to move away from the hustle and bustle of the city to view the ever calm and beautiful night sky up north. This journey will keep you intimately connected with the beauty of sky and on land. So what are you waiting for come join us for the road trip of a lifetime. DURATION: The Road Trip shall commence on 4th December 2015 from Jodhpur and shall conclude on 7th December 2015 at Jodhpur. Applications should be received by Network18 via online registrations on or before 28th November 2015 Network18 shall select participants for the Road Trip from all the entries received by Network18. Selection will be on the basis of BMI i.e. all people sending their entries will have to send their BMI as well. Basis the BMI selection of 20 people will take place. Selection of the twenty (20) participants from all the complete and correct entries received for the Road Trip vests solely and exclusively with Network18 and Network18's decision shall be final and binding and cannot be contested. Upon selection, participants may be required to complete paperwork and give a declaration, indemnity as specified by Network18. In the event, any of the participants does not fulfill the obligation; the participant will be disqualified from the Road Trip. The fee payable for participating in the Road Trip is Rs. 50,000/- (Rupees Fifty Thousand only). Participants will require to pay the aforesaid amount in full for the Road Trip by transferring the money in the mentioned account and submitting proof of the same, only then it will be considered a registered candidate for the event. For reservations full payment is required. After making a reservation, the participant will receive detailed pre-trip information with clothing and equipment list, invoice, insurance information, medical certificate and other information needed to prepare for the Road Trip. Final trip details will be sent 1 week prior to departure. All cancellation notices must be received in writing and will become effective as of the date of the postmark. Before 24 November 2015: the cancellation charges will be 25% of the total amount. After 24 November 2015: No refund. Network18 recommends purchase of the optional supplemental travel insurance package to protect oneself in case of an unexpected medical emergency. Network18 reserves the right to cancel the trip because of inadequate enrolment that makes the trip economically infeasible to operate or because of our concerns with respect to the safety, health, or welfare of the participants. If the Road Trip is cancelled by us prior to departure, Network18 will provide the participant with a full refund of monies paid to them; except in the event cancellation is due to a significant event that makes it infeasible to undertake the Road Trip as planned, in which case Network18 will provide the participant with a refund and/or credit towards a future trip/event equivalent to monies paid to them. If Network18 cancels the Road Trip while in progress, the participant will receive a prorated refund and/or a credit based on the number of days not completed on the Road Trip. Network18 reserves the right, without penalty, to make changes in the published itinerary whenever, in our judgment, conditions warrant, or if we deem it necessary for the comfort, convenience, or safety of participant.